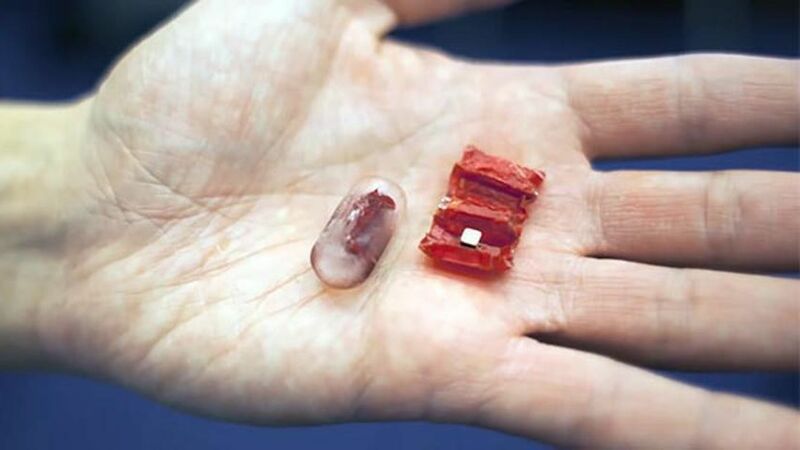 The Computer Science and Artificial Intelligence Laboratory at MIT has been working on a tiny, swallowable robot made with magnets and dried pig intestines, which could be controlled magnetically from outside the body to perform medical operations inside the body, Forbes reports. The device is folded up inside an ice capsule, which melts once it's in the stomach. What it could do: Remove unwanted items from the stomach, patch wounds and administer medicine. So far there have been no human tests. "There could be a minimum of six years to have a successful treatment for humans," MIT professor Daniela Rus told Forbes.